Astrid Sucipto is a Marketing & Communications expert with many years of experience in the field, including ghostwriting for the Executive team, copywriting for the web and marketing collateral, event planning, graphics design, product launches and video scripting and coordination. 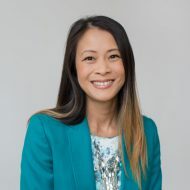 Prior to her Marketing & Communications career, Astrid spent almost 10 years as a Human Resources Consultant and Project Manager, managing small to large corporate projects. She also owns a web development and digital marketing company. When Astrid is not busy working, she enjoys spending time with her two little girls, husband and feline child. Astrid is excited to bring her knowledge, skills and expertise to West End Mamas!